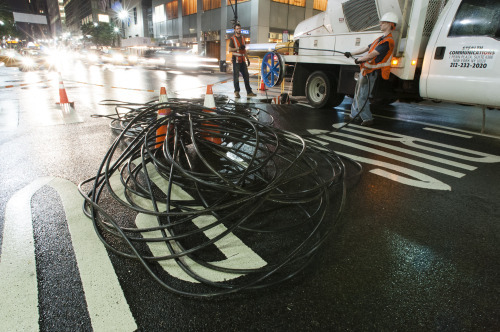 utilities is far from the end in the battle for net neutrality. Proponents and detractors alike are still mounting their campaigns. Last week, Marco Rubio published a lengthy op-ed decrying the efforts of the FCC to regulate key parts of the Internet infrastructure. consumer power, not government power,” he wrote in Politico magazine. throttling and blocking of content deemed lawful. Even if groups like Free Press have chided and floated similar theories about FCC chairman Tom Wheeler, a former cable industry lobbyist, due to his connections to Verizon and Time Warner Cable, who actively campaigned against the regulations. Free Press’ senior director of strategy. does that mean for how these rules will be enforced? “Regulatory capture is always going be a concern in the public policy arena, including at the FCC,” Karr told Watchdog.org. Therefore, as long as the rules are in place and issues can be adjudicated, says Karr, all is well. shows a heavier hand for government than first anticipated. a better job in watching over the infrastructure of the Internet? Depending upon how that question is answered, it’s most likely how people feel about these new regulations.